With milk tea still a craze these days, it would help to know how it’s concocted to save money and to have this comfort drink readily available like coffee even at home or anywhere else. This easy and simple recipe will help you mix your own milk tea. For illustration purposes, I’m using Alaska’s Slim fresh milk but you can use any other fresh milk brand or variant. 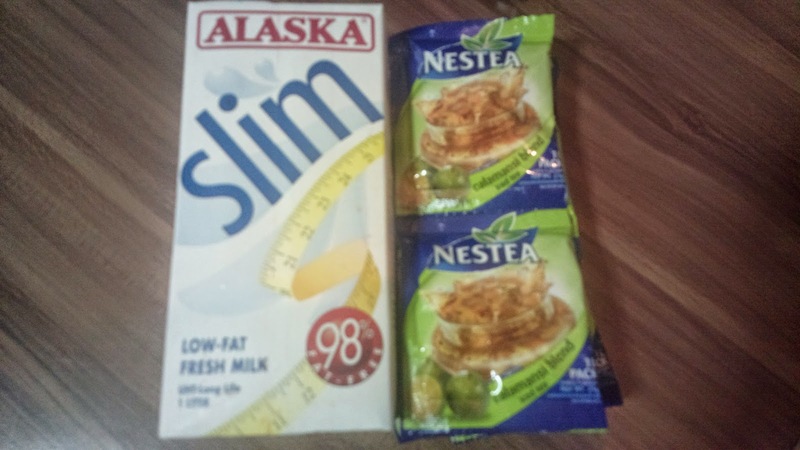 As for the tea, it’s Nestea with Calamansi but of course, any ice tea flavor or brand will work. Milk fresh milk and iced tea in a proportion of half to one such as 1/2 cup milk with 1 cup tea. You can increase the amount as you wish. Add sugar to taste and ice cubes to make it cooler. As for me, I don’t add sugar and ice cubes anymore because the milk is fresh and cold from the refrigerator. I am not into that much sweetness either. There you have it, a simple and easy milk tea recipe!